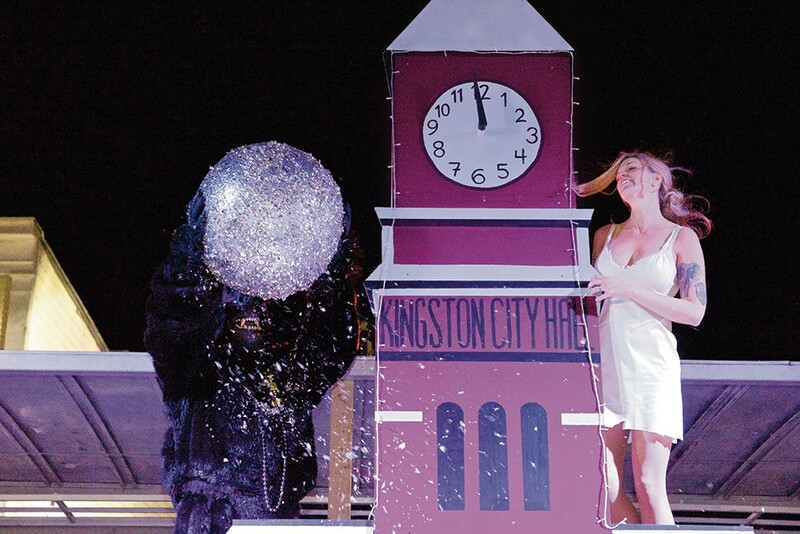 King Kong about to hurl the ball from atop City Hall at the Uptown Kingston New Year's Eve celebration in 2015. Photo by Saundi Wilson. We did it. Another year has bitten the dust, and it's time to celebrate. Food, music, meditation, dining, dancing: whatever your fancy, there's an event going on around the Hudson Valley that will help you celebrate the New Year. 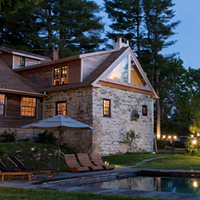 From December 27th to January 1st, the Menla Center will host their annual New Year's Dharma & Yoga Retreat. This Buddhist workshop explores the concepts behind many a New Year's resolution: happiness, compassion, wisdom, and health. This year, the Real Life retreat features Carolyn Christie, Robert Thurman, Sharon Salzberg, and Brooke Myers. Prices vary based on room selection. Menla.secure.retreat.guru/programs. Take a break from Friday, December 30th to Monday, January 2nd, and celebrate the New Year—Russian style—at this resort and spa. Live music, cocktails, gourmet dinner, hats, and noisemakers, this long weekend combines a little bit of relaxation and partying. Honorshaven.com. Experience a neighborhood-wide transformation to the Wild West, at New Year's Eve Uptown Kingston. BSP Kingston will house aerial artists, cocktail bars, and a dance party celebration with DJs Tony Touch and Shaman Vybez. Special guest performances by Big Takeover, and more spread across Uptown, with a ball drop and visit from Father Time and Baby New Year at midnight. Uptownkingstonnye.com. This family-friendly event takes over Main Street in Saugerties from 10:30 pm to 12:30 am. There will be music by DJ Riley Cornelison, coffee and hot cocoa, party favors, and extended restaurant hours. This year, it's bigger and better, created by Saugerties-resident Mike Ivino and based on the original New York City ball blueprint. Dining and dancing to ring in the new year on December 31, featuring performances by ZydeGroove, Jay & Molly with Swingology, and the Tempest. Try out some swing, cajun, zydeco, waltzing, or contras—whatever your speed or style. Dinner is at 6pm, the show begins at 8pm. $30 adults, $15 teens and under, $30 for dinner. Ashokancenter.org. Performances by the Chris O'Leary Band and Sari Schorr & Band. Blues, rock, soul, and for dinner guests, a New Year's Eve feast buffet and complimentary bottle of champagne. Dinner and a show pricing is $125 per person, $110 for members. Show only, including the midnight champagne toast, costs $50 per person, $42.50 for members. Townecrier.com. A New Year's Eve celebration of music and soul at Daryl's House, with sounds from Prince-acclaimed, Nashville-based R&B star Kandace Springs and Marvin Gaye- and Stevie Wonder-influenced jazz-funk group Klyde Jones & Friends. Don't be urprised if the owner sits in. $50. Doors open at 5pm, the show starts at 9pm. (845) 289-0185; Darylshouseclub.com. A New Year's Eve celebration with an open bar, hors d'oeuvres, dinner, and of course, a champagne toast at midnight. 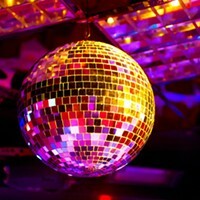 DJ Joey Garcia will provide sounds to complement the food and atmosphere. 7:30pm to 1 am. $112 per person, including tax and gratuity. Novellasnp.com. The Simi Stone Band, Pearl (featuring Scott Ian of Anthrax), and Lisa Green, perform. $25 general admission, $35 reserved club seating. Doors open at 6pm, the show starts at 9pm. (518) 828-4800; Helsinkihudson.com. A New Year's event for the kids, as the Mid-Hudson Children's Museum hosts their New Year's celebration for a countdown...to noon. Pop music, dancing, and activities, with special surprises on the hour until twelve. $10 MHCM members, $14 non-members. Mhcm.org. The soulful rockers behind Fowl Play, Sister Sparrow & the Dirty Birds take the stage at Bearsville Theater for New Year's Eve. 9:30pm. General admission $40, special VIP packages available for purchase. 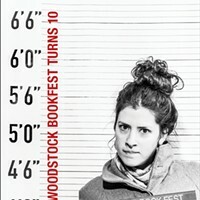 679-4406; Bearsvilletheater.com. The Burlington-based jazz, rock, bluegrass, funk, and reggae musicians Twiddle take on the Egg for another New Years Eve. This jam-band will melodically lull you into 2017. Tickets are $39 in advance, $4 day of show. (518) 465-3334; Palacealbany.com. Spend New Year's afternoon ice-skating with the family at Bear Mountain's outdoor rink. Children aged 3 or under are free, $5 for adults 12 and up, $4 children aged 4 to 11, and seniors $2. Skate rentals cost $4 per pair, shake sharpening is $5 per pair. Bearmountainicerink.com.